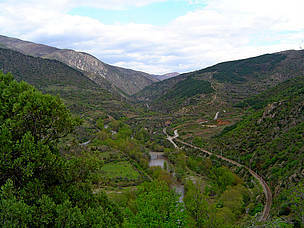 Brussels – Members of European Parliament, representing seven different political groups, have sent a letter to the European Commissioner for Environment, Maritime Affairs and Fisheries Karmenu Vella expressing their concern with regards to the critical situation in two areas protected under EU law in Bulgaria: Pirin National Park and Kresna Gorge. The Bulgarian government has recently pushed through changes to Pirin National Park’s management plan that open up almost half of the area, which is a Natura 2000 site and a UNESCO World Heritage Site, to construction. Meanwhile Kresna Gorge, also a Natura 2000 site, is under threat due to the construction of the Strouma motorway. The MEPs call on Commissioner Vella to put pressure on the Bulgarian Government to observe the EU nature laws, under which both Pirin National Park and Kresna Gorge are protected. MEPs also urge the European Commission to launch an infringement procedure against the Bulgarian Government for significant breaches of the law of the European Union, in particular environmental law including Natura 2000 obligations in the Pirin National Park and Kresna Gorge. Sabien Leemans, Senior Policy Officer, Biodiversity of the WWF European Policy Office, said: “We join the MEPs and thousands of citizens asking the European Commission to take its role as guardian of the treaties seriously and ensure the protection of Pirin National Park and Kresna Gorge in line with EU nature laws. It must be made clear to Bulgarian and all EU governments that nature cannot be ignored, nor can EU law." The letter is signed by Sirpa Pietikainen and Svetoslav Malinov (EPP), Jo Leinen (S&D), Mark Demesmaeker (ECR), Catherine Bearder (ALDE), Merja Kyllonen (GUE), Ska Keller and Rebecca Harms (Greens/EFA), and Eleonora Evi (EFDD). Pirin National Park is of immense value on national, European and global level due to its centuries-old forests and inherent intact landscape and biodiversity. Nevertheless, the Bulgarian Government wants to allow new constructions and developments in Pirin without an appropriate assessment or strategic impact assessment, required both under the EU Habitats Directive and the Strategic Environmental Assessment Directive. MEPs note with concern that the answers of the European Commission to parliamentary questions conclude that no violations of EU-law have occurred in Pirin to date. In Kresna Gorge, the Strouma motorway is scheduled to be built. The 17km-long Kresna Gorge is Bulgaria’s richest biodiversity site - a habitat for almost a hundred EU-protected species, such as land tortoises, golden eagles, griffon vultures, Leopard snakes, 12 species of bat, and a crucial narrow migratory corridor for bears and wolves. A recent court ruling by a Bulgarian court did not stop the construction plans. These plans pose an immediate risk to the unique flora and wildlife and violate the EU nature directives. Thus, it is high time for the European Commission to intervene to ensure that the whole motorway will be built outside of the Kresna Gorge, the letter says. Already in 2008, an alternative plan was outlined in the appropriate assessment which was approved by the European Commission.